Marcy was on vacation this past week. I had Friday off. We decided to take a ride out to the East End of Long Island, on the North Fork. The North Fork is winery row. If you don't know where that is, check a map. What's on the North Fork, you ask? A great many wineries are on the North Fork. We hadn't been out that way in many years. Last time was at least fifteen years ago, maybe more. We thought it would be a nice day trip, especially since a friend drover; trying too many samples was thus not an issue. Boy, were we in for a shock! Not one of these wineries offered free samples, anymore. They all have a tasting menu that runs $2 a glass to $20 or more, for a ten glass-sampling menu. Here's the thing, I only want to have a small taste to see if I like it enough to buy. As it turns out, three wineries are closely related. The Damianos family, one member or another, own Pindar, Duckwalk and Jason’s wineries. Dr Dan started Pindar in 1981, when his son, Pindar, was only two years old; now Pindar is running the winery. In 1994, Dr Dan and his son, Alexander, started Duck Walk. 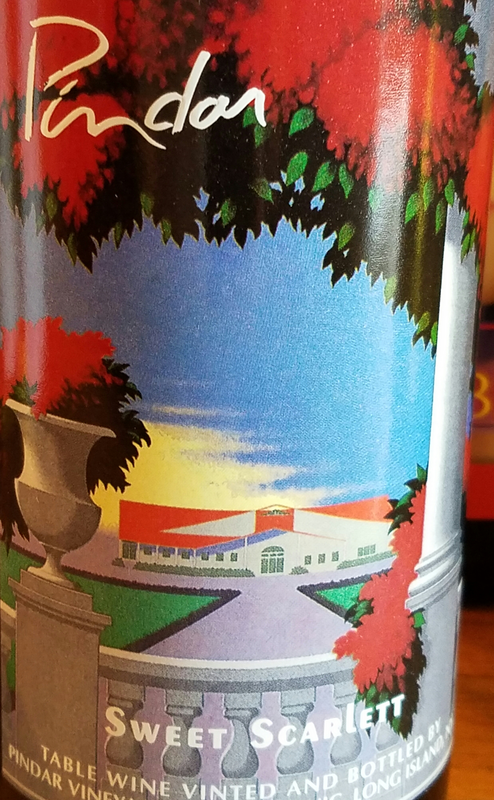 In 1996, Jason started Jason's Vineyards. Their products are different, but their philosophies about producing high quality wines are the same. We stopped at Jason's, first. Betsy greeted us. She showed us a tasting menu. No more free samples, at the wineries, but I got one, anyway. She really didn't have an answer. Then Marcy started peppering her with other questions. Finally, Betsy said she liked us; what did we want to try. It looked like the inside security camera was off. I wanted the rose and Marcy wanted the Malbec. Both were very good and I bought a bottle, of the rose, for $16.95. I would have bought the Malbec for Marcy, but she didn't want it. So I said to Betsy, "See, you gave me a taste and I bought a bottle. That's the way it should be done." We thanked her and left to find another winery. We accidentally found the Peconic Bay Winery, which used to be Peconic Bay Vineyards. What's the difference? Donna, the manager told us that they no longer own vines and are closing out what remaining stock of wines that they have. The have Lenz and Lieb Vineyards do the bottling for them. Marcy bought two bottles of non-alcoholic rose. I wanted a taste of their regular rose, but Donna didn't have a bottle open. With very little stock left, she couldn't open one for a tasting. We hit many wineries and no one else offered a free tasting. We finally stopped at Pindar; it has grown tremendously since we were there last. It was off-season and the winemaker, himself, gave us a tour. Betsy said we likely met Pindar, but I don't remember. The Pindar winery is well stocked. Pindar has more wine selections than does any liquor or wine store on Long Island; the prices are good. Marcy said one bottle was enough for the day. They even had one called "Sweet Scarlett." Since our cat Scarlett doesn't drink wine, I didn't buy it. Before we went for a nice dinner, we stopped in the Town of Riverhead, which is home to the Long Island Aquarium and Exhibition Center. When it first opened, it was the Atlantis Marine World; the original sign still hangs in front, on the top of the building. We walked around a bit, got a cold soda and headed back to the car. My friend, Pat, had suggested a restaurant called the Lobster Roll, so off we went. It was only ten minutes from where we were and we were hungry. The restaurant looks like an old style Long Island home, with some small shops in the back of it. Pat told me the lobster roll was awesome; that's what I ordered. Marcy got a fried flounder sandwich, but she didn't eat the bread. My sandwich served on a toasted hot dog roll; it filled with big chunks of lobster meat, in addition to the lobster salad. If I had another roll, I could have made two sandwiches out of it. Marcy wouldn't give me her bun. So, if you've never been to the East End of Long Island, do it, bring some money and get drunk tasting local wines.